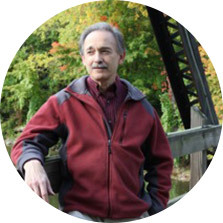 Peter Geller, M.S., L.Ac., L.O.M.P., has been practicing acupuncture and Oriental medicine since 1998. National board-certified in Chinese herbology as well as acupuncture, Peter has worked in a variety of conventional and holistic health-care settings. His Traditional Chinese Medicine (TCM) practice encompasses treatment not only of acute and chronic pain, but also a wide variety of internal medicine conditions, such as gynecological, digestive, and respiratory problems; psychological and emotional issues such as anxiety, depression, and obsessive thinking; and nicotine and alcohol dependence. Areas of special interest include integrative gynecology, in which he has taken much additional training focused on infertility, menstrual problems, symptoms of menopause, and many other aspects of women’s health. Using the methods and thinking of TCM, including clinical “pattern discrimination” and classical pulse and tongue diagnosis, Peter takes great care to tailor treatment to the needs and presentation of each patient, and to alter his therapeutic approach as the situation warrants. In keeping with TCM’s focus on the underlying causes of imbalance and illness, he also emphasizes lifestyle modification, where factors such as poor diet, sleep, or exercise habits play a significant role in his patient’s condition. During the 1970’s, Peter trained extensively in Yang-style short-form t’ai chi, the gentle Chinese system of internal exercise noted for promoting health, relaxation, energy, and balance, among many other benefits. He studied in New York with the late American master Lou Kleinsmith, senior American student of grandmaster Cheng Man-Ch’ing. Peter has been teaching this style since 1977 and now offers classes at LivAwareMD. Request more info or make an appointment. Contact us by filling in the info below.